Islam Religion research papers look into one of the world’s major monotheistic religion founded by the Prophet Mohammad. 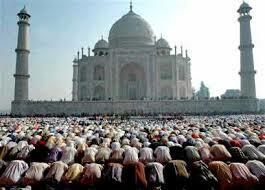 Islam is one of the world’s three major monotheistic religions, with the others being Christianity and Judaism. The Prophet Mohammad founded Islam in the year 610 and considers the Quran to be its holy book. About 23% of the world’s population, some 1.57 billion people, practice Islam. There are Five Pillars of Islam, basic acts that are considered to be obligatory for believers. They are Shahadah (creed), salat (daily prayer), zakah (almsgiving), fasting during Ramadan, and Hajj (pilgrimage to Mecca). The Quran also spells out many laws that individuals and societies must follow, known as Sharia. The Islamic religion has etiquette practices, known as adab. These include greeting others with “as-salamu alaykum” (“peace be unto you”), using only the right hand for eating and drinking and dietary restrictions, such as prohibitions from pork and alcohol. Islam stresses the importance of the family as the basic unit of society, with the father as the head of the family unit. Polygamy is acceptable under Islam, although the Quran restricts a man to no more than four wives. Islam is largely divided into two main sects, the larger Sunni group and the smaller Shia. Between 75 and 90 percent of all Muslims are Sunni. Shiite Muslims follow the tradition of Mohammad’s son in law as the fist Imam. There is also a smaller group, the Sufis, which is a more mystical approach to the Islamic religion. Islam and Christianity Research Papers examine the many similarities each religion shows. Islam in the Modern World research paper will discuss the animosity between the East and West with respect to Islam in the modern world. Muslim Calendar Research Papers look at how to order a paper on a religious topic with specific instructions included. Islamic Art research papers discuss how the rise of Islam in the 7th century led to the creation of a specific style of art in the regions where Islam spread. Paper Masters writes custom research papers on Islam Religion and look into one of the world’s major monotheistic religion founded by the Prophet Mohammad.